This membership is designed for an individual, whether married or single. The member will have the privilege of making unlimited tee times throughout the season. The member will also have unlimited use of clubhouse facilities, including the reciprocal program and the pool. This membership is designed for married couples. Each member has the same privileges for making unlimited tee times throughout the season. Both members will also have unlimited use of the clubhouse facilities, including the reciprocal program and the pool. This membership is designed as an individual membership. 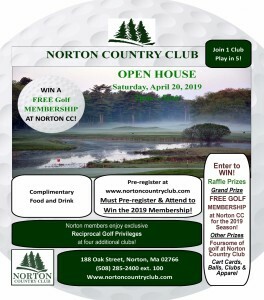 The member will have unlimited golf privileges on Mondays through Fridays and after 12pm on Saturdays, Sundays and holidays, throughout the season. The member will have unlimited use of the clubhouse facilities, excluding the golf course on weekend and holiday mornings, everyday throughout the season. The reciprocal program and the pool are not included in the membership. This membership is designed as an individual membership of a person between the ages of 22 and 35. The member must be 22 years of age by April first of the membership year. The member cannot exceed 35 years of age by April first of the membership year. The member will have the privilege of making unlimited tee times throughout the season. The reciprocal program and the pool are not included in the membership. This membership is designed as an individual membership. The member will have unlimited golf privileges on Mondays through Fridays only, excluding any national holidays, throughout the season. The member will have unlimited use of the clubhouse facilities, excluding the golf course on weekends and holidays, everyday throughout the season. The reciprocal program and the pool are not included in the membership. This membership allows one (1) discounted afternoon weekend play per month for the rate of $55.00, which includes a cart. This membership is designed for up to three individuals employed by the same company. Proof of business employer federal ID number and employment for each member is required. The company must designate the three employees as the members. The three designated members are entitled to unlimited golf privileges on Mondays through Fridays only, excluding any national holiday, throughout the season. In addition, the designated members will have unlimited use of the clubhouse facilities excluding the golf course on weekends and holidays, everyday throughout the season. The pool is not included in the membership. Corporate in-house charging has been terminated. This membership allows one (1) discounted afternoon weekend play per month for the rate of $55.00, which includes a cart.